I’m all for one-pot dinners that are quick, easy, and save me from washing any extra dishes. This dinner is all of the above and it is absolutely delicious. 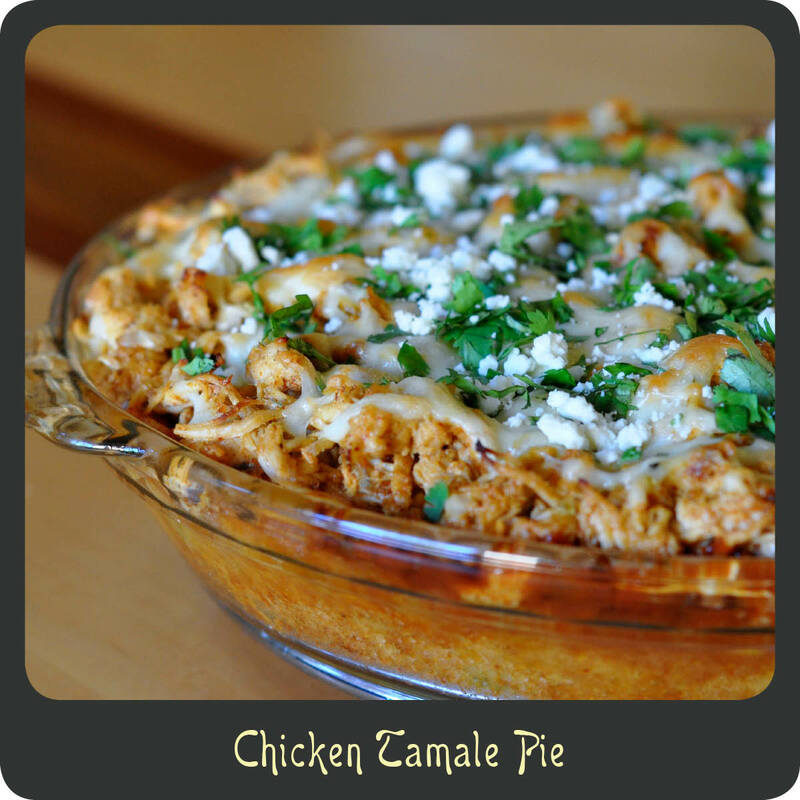 If you love tamales then you will love this recipe. Think tamales, but on steroids. The cornbread has so many wonderful flavors and great texture. And then you get way more meat than you will ever find in some little hand rolled tamale, plus cheese. Glorious cheese! If you have a family that loves all the flavors of Mexican food and you are looking for something new that will save you some time in the kitchen give this recipe a try. You wont regret it! Note: I love Del Real products. I frequently use them as a way to save me time in the kitchen. 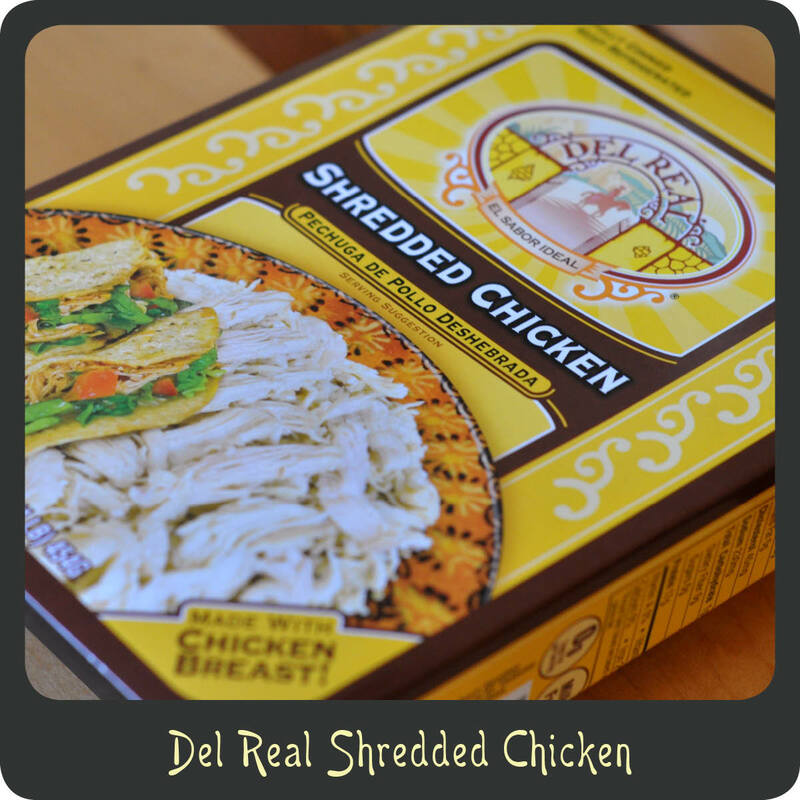 For this recipe I used a package of the Del Real Shredded Chicken. It shaved off prep time and their products are super affordable. You can also purchase a rotisserie chicken, or if you have time just boil 2 chicken breasts for about 20 minutes and shred them yourself. Combine milk, egg, chili powder, creamed corn, Jiffy, and green chilies in a medium mixing bowl and stir just until combined. Pour the cornbread mix into a greased pie dish. Bake the cornbread for 23–28 minutes or until it is just cooked through and golden on top. While the cornbread is baking toss the shredded chicken with the taco seasoning and 1/3 cup of the enchilada sauce. Using a fork, poke a liberal amount of holes into the cornbread. Pour the remaining enchilada sauce over the top of the baked cornbread. Add the seasoned shredded chicken to the top of the cornbread spreading it around evenly. Sprinkle the shredded pepper jack cheese over the top of the chicken. Remove from the oven and allow it to set for 5 minutes. Sprinkle with the cilantro and Cotija cheese. Cut and serve as you would a pie. Do you like using Del Real Products? Then perhaps you will love this fabulous recipe! I am wondering if a shredded beef could be used as husband does NOT like chicken…looks like a great recipe!